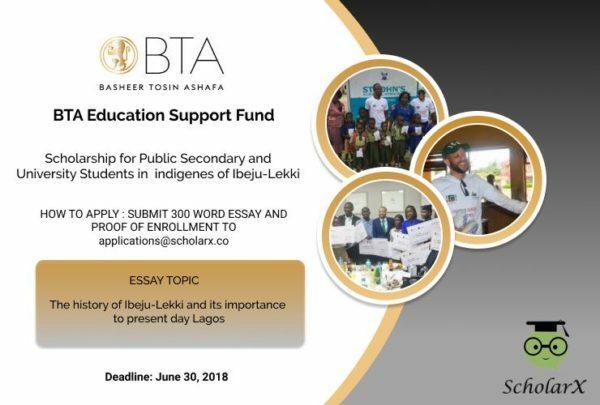 Social impact startup, ScholarX, in collaboration with Entrepreneur and Philanthropist, Basheer Tosin Ashafa, has invited actively enrolled students of secondary and tertiary institutions based in Lagos State to participate in an essay competition to determine the recipients of the second batch of the BTA Education Fund Scholarships. In addition to fighting hunger amongst school children in the area, the BTA Education Fund and FoodClique Support Initiative have donated over 2500 books and implemented infrastructural support initiatives such as the installation of whiteboards in all classrooms. 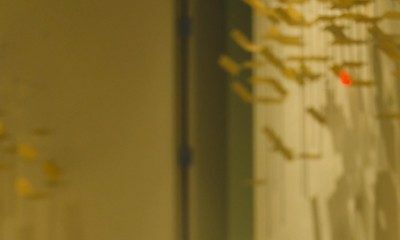 Administered by ScholarX, the BTA Education Support Fund is a scholarship program that aims to support beneficiaries through their academic year. Exceptional students with financial need and a determination to succeed against all odds will find this scholarship opportunity to be truly beneficial. ONLY indigenes of Ibeju-Lekki in Lagos State are eligible to apply. No participation fee required. Relevant judging criteria include: Writing style, Originality of Essay, Educational Institution of Student (Primary, Tertiary, Public, Private, etc. ), Academic Background, and Gender of applicants in an effort to ensure even representation in the judges’ selections. 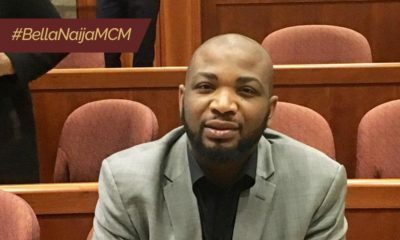 Winners will be invited to participate in a one-day conversation-style, mentoring experience, with Entrepreneur and Philanthropist, Basheer Tosin Ashafa where their prizes will also be presented. Further information on the contest is available on all ScholarX social media platforms.